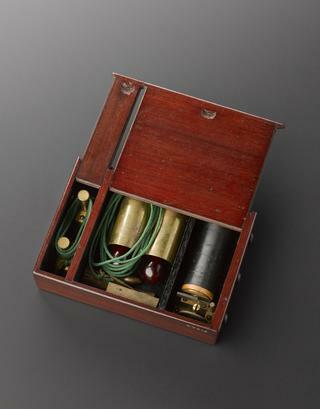 Hand-cranked electrotherapy apparatus with Clarke-type magneto, by Appareil Gaiffe at Paris, in fine mahogany case, owned by Dr. P.F. 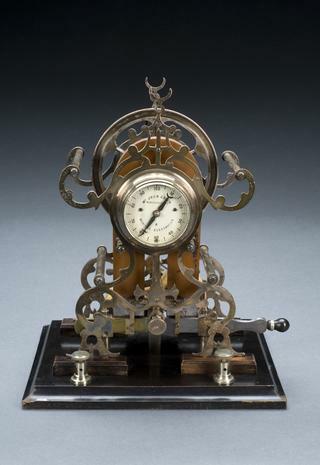 Gachet, French, 1859. Complete set with 7 electrodes (two flat ovoid plates, one sponge-holder, one brush, one rectal, two button-shaped attachments) and two wires to connect electrodes to apparatus.